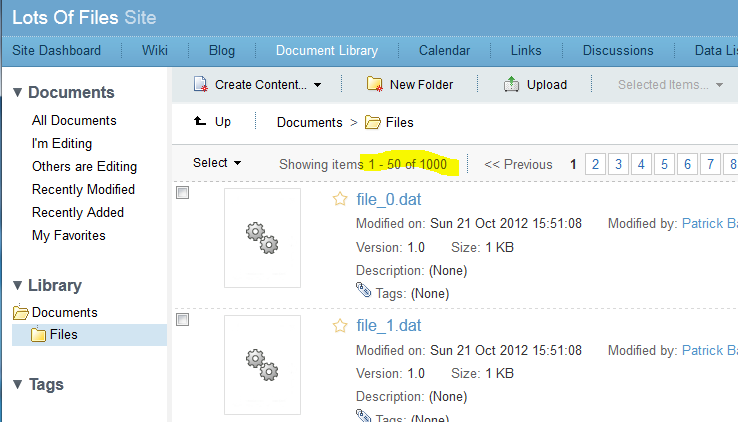 Using Alfresco share 3.4.d I recently hit a limit on how many files can be displayed in a folder, it is 1,000. 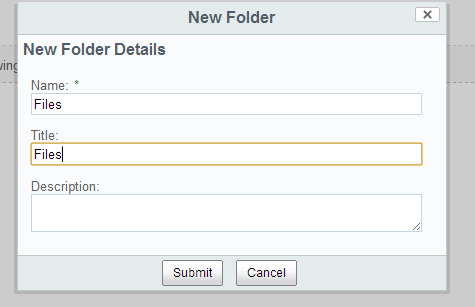 You can have 10,000 or more files in the folder but only 1,000 will be displayed. 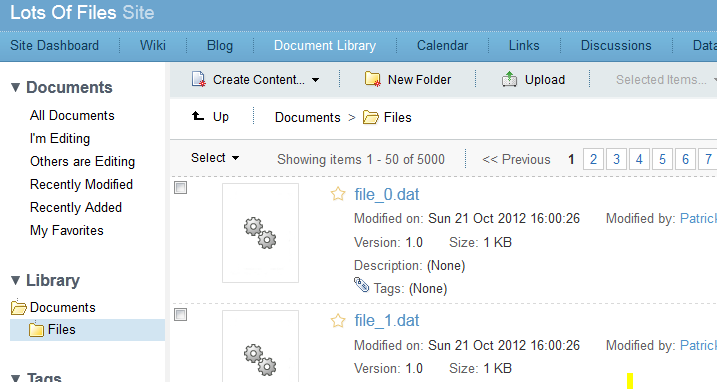 To show how this is done I am going to create a new site in share and upload 5,000 files to it. 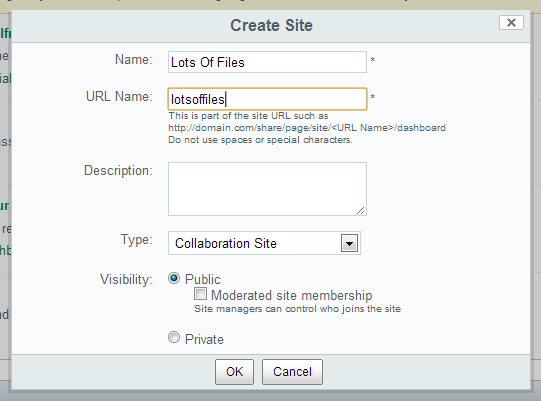 Name it Lots Of Files. 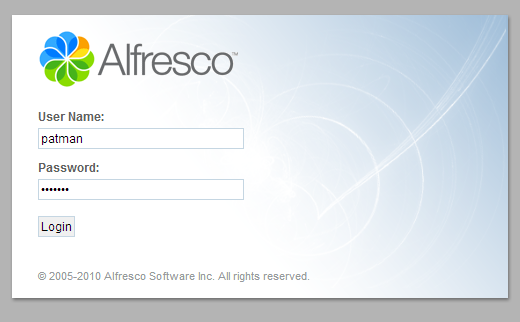 Alfresco 3.4/Tomcat/and Adobe Flash combo have an issue and do not work with multiple upload files via the web interface. 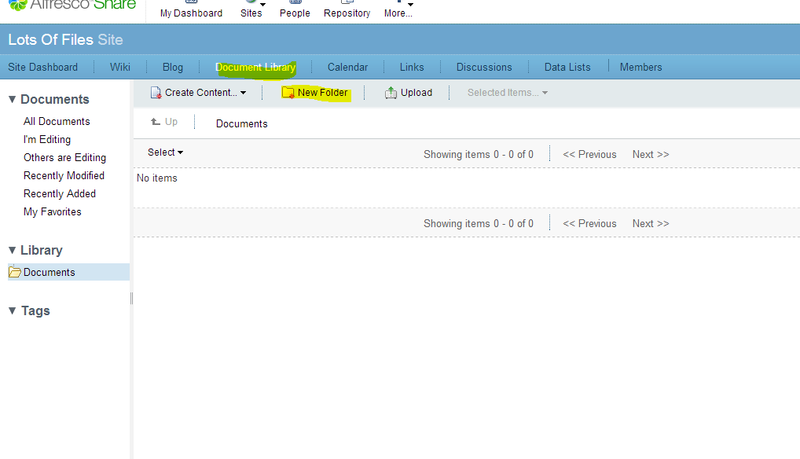 So for testing I am going to turn on the FTP server and use that to upload over 1,000 files for testing purposes. 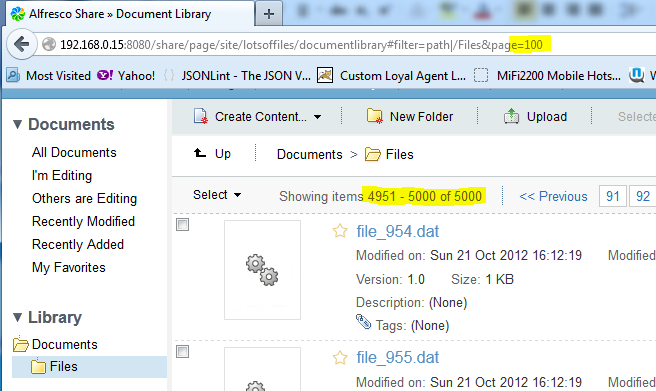 You can see that although there is 5,000 files in this folder you can only see 1,000 of them. more than 1000 records in webservice search api?